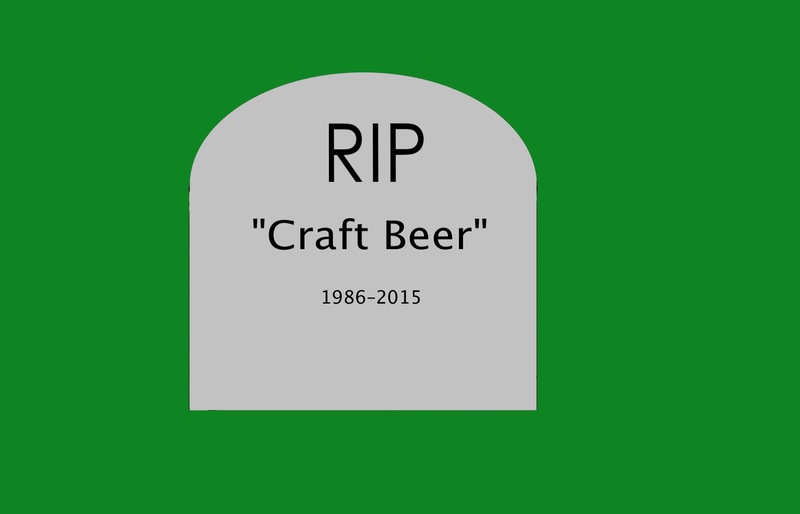 It’s time to ditch the term “craft beer.” There was a time when it had a semi-useful meaning, but that time is gone. The ever-changing definition of craft beer has led to a current definition that has little or no value to homebrewers or beer enthusiasts. It has internal inconsistencies, it is composed of disparate elements, and frequently spawns absurdities. It is also silent on what matters most to the majority of beer enthusiasts — beer quality. The term “craft beer” has always had its flaws. For one thing, there are the internal inconsistencies. [The Brewers Association (BA), who currently define (and redefine) the term, actually define “craft brewer,” not “craft beer.” For the purposes of this article, I’ll assume that craft beer is something produced by craft brewers. This is logical and consistent with how the BA uses both terms.] Since it was coined, the term “craft beer” has been meant to describe beer from brewers that are small, independent, and traditional. Local was also part of the original definition, and the person who originally defined the term also used the term “true beer” as a synonym. The traditional part of the current definition is a particular problem as innovation is at least as important as tradition in the “craft beer” scene. What if a brewery makes an American IPA? What traditional manner is that being brewed in? The style didn’t even exist until recently. Is a brewery aging an imperial stout in a whiskey barrel using traditional techniques? Hint: No, that’s a new thing. (New in the context of the centuries-long history of brewing, if not to the beer hipster chasing the latest trends.) And yet, breweries brewing these new kinds of beer are labelled traditional, so long as they meet the other requirements. I suppose one could argue that these beers are brewed using traditional techniques with a modern twist. But is that what “traditional” means? And if it does, doesn’t this definition describe every beer ever? Of course, we all know that the “small” part of the definition is always redefined so that Sam Adams remains craft. You can currently brew 6 million barrels of beer a year and be considered a small brewery. I’m not going to beat that dead horse, because I believe you can draw your own conclusions about that. So basically, a brewery could be making millions of barrels of beer per year, it could be controlled by another (craft) brewery, and making new, innovative beers and still qualify as small, independent, and traditional. If words mean something to you, the definition of “craft brewer” cannot. There are two more installments to this article. In the final installment, I’ll explain what I think should be done about the situation. In short, I will argue that we already of have a wealth of terms that can be used to describe a beer or the brewery that produces it. And, some of these terms even incorporate an element of quality, which I will argue is something that would be useful to beer brewers and drinkers. And none of them preclude someone additionally pointing out who owns the brewery, if that is deemed important.